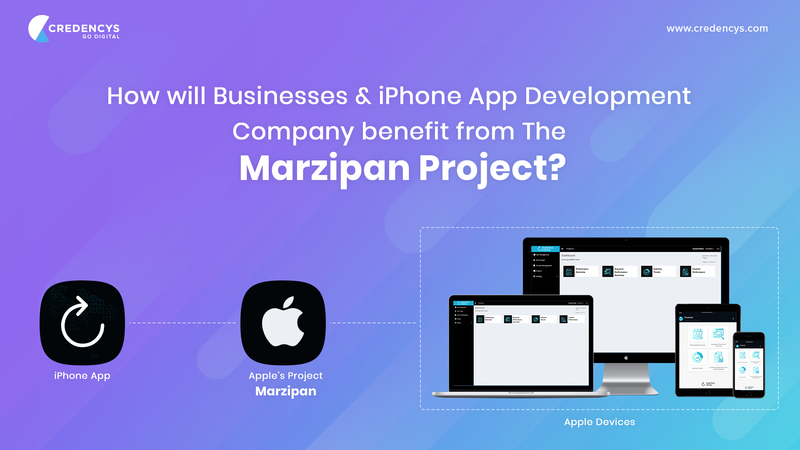 Business Benefits of the Marzipan Project by Apple Inc.
How will Businesses & iPhone App Development Company benefit from The Marzipan Project? Since its inception, Apple’s sole purpose behind building every product was to make things simple for the users. The trillion-dollar company is now planning to make things simpler for iOS and MacOS developers. According to the Bloomberg report by 2021 Apple is planning to merge iOS and MacOS applications. It means that from now on freelance programmers and iOS app development companies in USA and other parts of the world will not have to build separate applications for MacOS and iOS. Apple has named this project as “Marzipan.” From now on iOS or MacOS programmers can build the application once and it will run on all the Apple devices including Macbook, iPhone and iPad. No need to create separate apps for all these devices. Apple thinks that it will boost creativity among various developer communities. With more number of apps being uploaded every day, the growth rate of App Store revenue will increase. The universal apps will help developers to merge their existing iOS, iPad and MacOS apps into one single app using the new Software Development Kit (SDK), which they would probably launch in June WWDC event according to Bloomberg. According to Apple, this could merely be the start as they have bigger and better plans to streamline software development for iOS app development companies in USA. When to Expect The Merger? Apple is planning to release this update as slowly as they could. During the final quarter of this year, we can expect an SDK to launch that’ll allow developers to migrate their iPad apps into MacOS apps. So now, instead of developing and submitting two separate versions of the app for MacOS and iOS they will have to send just one. The new SDK will write the code twice for both the platforms. Later in 2020, Apple plans to expand the Kit further which will help an iPhone app development company to convert iPhone apps into Mac Apps. This conversion will happen the same way as the iPad except for the fact that it’s going to be really tough for the Apple developers to shift the app from a quite small screen to a large and high-resolution display. Hire award-winning iPhone app development company to build fluid iOS apps. Finally, in 2021, Apple will be able to merge apps from all the three platforms into one which is also known as “Single Binary.” After this update users will be able to download iOS apps from Macbooks and MacOS apps from the App Store. After the merger, the iPhone app development company will no longer develop apps for the iPhone or iPad only. Instead, they will develop apps for all the apple products including Macbook, Apple TV and Apple Watch by default. Apple plans to create a win-win situation for both iOS app development companies as well as its customers. Apple understands the importance of time-to-market. One of the aims of the Marzipan project is to improve app time-to-market. The merging of iOS and MacOS will allow developers to code once and build for all Apple devices. It will help the iOS app development companies in USA to reduce development time for making separate apps for iOS and MacOS. Lesser development time means better time-to-market and hence, more opportunities. Want to build apps for all the Apple devices and worried about whether or not it will deliver the same customer experience on every device? The answer is yes. You’ll be able to provide the same experience in all the Apple devices as there will only be one app to build by iPhone app development company. The experience across multiple devices will be automatically managed by the new SDK which Apple is going to release. Since you’ll develop app only once for all the Apple Devices, it’ll cost you for one app only. Which means in the cost of one iPhone app you’ll get three apps with the same user experience for different Apple devices. Today, if you want to develop an app for all the Apple devices, you might require to hire iPhone app developer, MacOS app developer, Apple Watch developer, and Apple TV app developer individually. But, if all these platforms merge, then you’ll need to hire only an iPhone app development company, and everything’s sorted. You just have to deal with one or maybe two people from the company, and that’s it. Apple is not the first one to apply the multi-device app ecosystem. Previously, when Microsoft released their Windows phone, they tried to do a similar thing where users could download and use the same app for the phone as well as Desktop. Google also did a similar job by merging ChromeOS and Android apps. But, as we know Apple does everything on a large scale. They will start by merging MacOS and iOS apps and later they will centralize app development for every Apple device. This is going to help not only businesses but also iOS app development companies in USA and more.